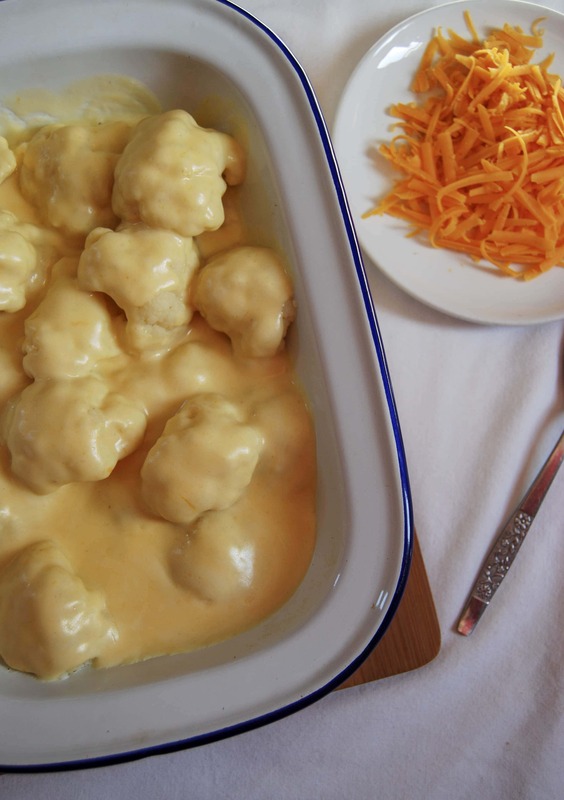 Learn how to make the perfect creamy cauliflower cheese! Classic British comfort food at its finest. There’s a pretty fine line between a good and bad cauliflower cheese. If done right, cauliflower cheese can be amazing. However if it’s done wrong, it can be a watery, flavourless disappointment. You know the disappointment I speak of – mushy, water logged cauliflower florets in a grainy sauce that doesn’t even taste remotely cheesy. Sad times. 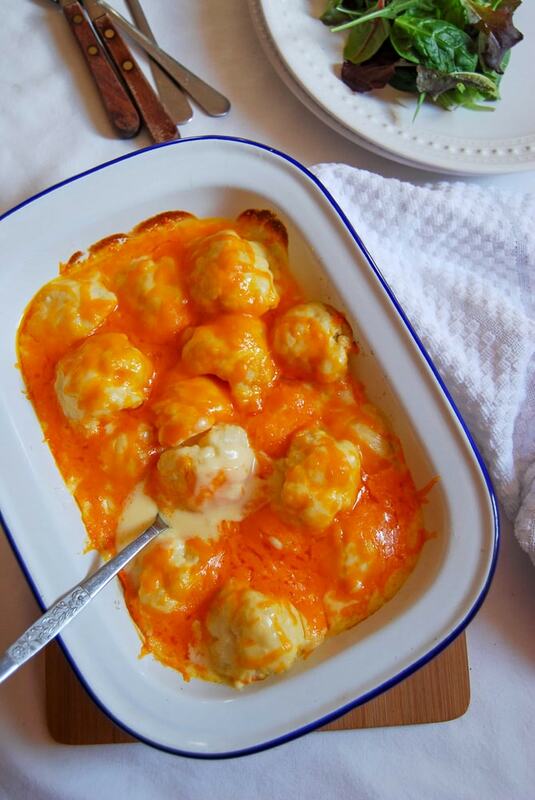 If you follow my simple recipe I promise that you will end up with a gorgeously creamy cauliflower cheese that will be the standout accompaniment to any roast dinner. 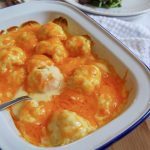 What cheese should I use for cauliflower cheese? Any hard cheese will work, but cheddar cheese is the classic choice and my absolute favourite. I like to use the strongest cheddar I can get my hands on and I use a lot of it. Any cheddar cheese with a strength rating of 4 or 5 is good. I also like to add a bit of Red Leicester cheese for that fiery colour – it’s by no means essential but I love it! Why does my cauliflower cheese go watery? 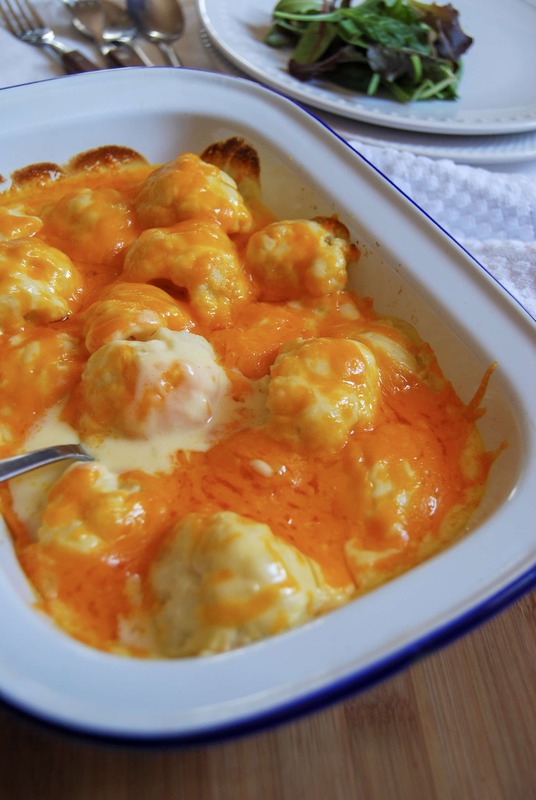 A watery cauliflower cheese can always be blamed on two things – over cooking the cauliflower and/or not draining the cooked cauliflower properly. I prefer to steam the cauliflower – it might take a little bit longer, but it prevents the watery sauce issue so I think it’s worth it. If you prefer to cook the florets in water, make sure they are properly drained before combining them with the cheese sauce. how can I prevent my cheese sauce from splitting? Cooking the cauliflower cheese at too high a temperature can sometimes cause the cheese to split, resulting in a slightly oily, grainy texture. A split sauce can also be avoided by removing the sauce from the heat before adding the cheese. Can I make the cauliflower cheese in advance? It is best made fresh, but you can make it in advance. After cooking, let it go completely cold before placing in the fridge for up to one day. Reheat the cauliflower at 180C for 25-30 minutes or until bubbling. This Creamy Cauliflower Cheese is a British comfort food classic! Steam the cauliflower florets for roughly 10 minutes until only just tender. They may take a little more or less time, so keep an eye on them. When cooked, remove from the steamer and set aside while you make the sauce. In a medium saucepan, melt the butter, then add the flour and let it cook for a few minutes, stirring to make a roux. Remove the pan from the heat and slowly start whisking the milk in, a little at a time, constantly whisking to prevent lumps. When all the milk has been added, place the pan back on the heat and cook on a low to medium heat, stirring constantly until thickened. Remove from the heat again and add the mustard, nutmeg if using, salt, pepper and cheese, stirring until the cheese has completely melted and the sauce is smooth. Place the cauliflower florets in a gratin dish and pour over the sauce. Sprinkle over the remaining cheese. 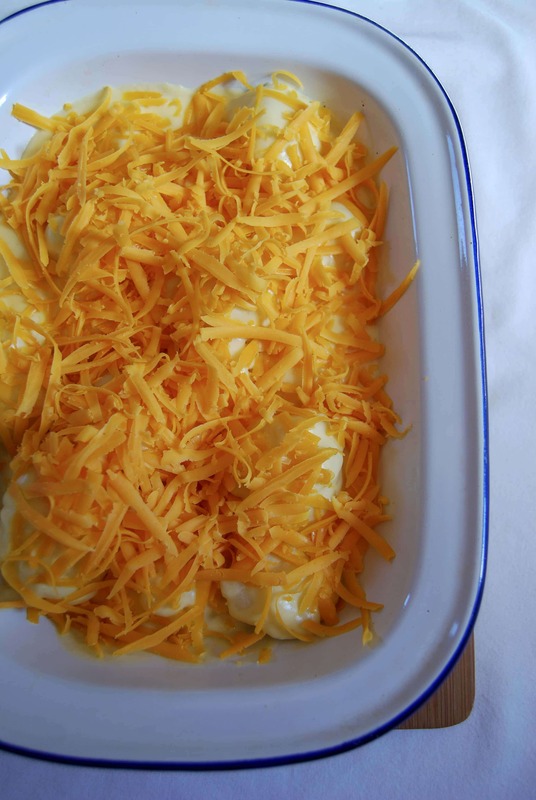 Place in the preheated oven and bake for 20-25 minutes or until golden and bubbling. I like to give the cauliflower cheese a quick blast under a hot grill for a couple of minutes to burnish the top.